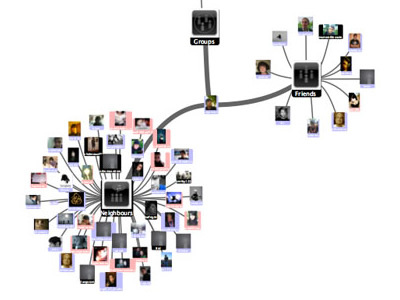 Discovered through Build Last.fm, Last.forward is an open source software for analysis and visualization of the social music network of Last.fm. The focus of the development is aimed solely at the user and his social relationships within the network. 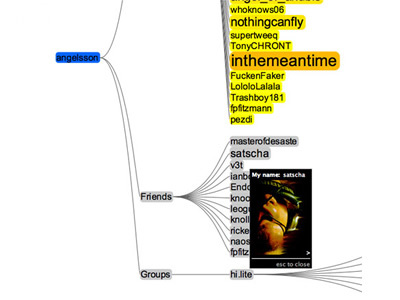 The user-friendly interface allows an immediate understanding of any user's friends, neighbors and musical groups, arranged in 2 different views (graphs). Hi, ich war auch einer der Entwickler :-)!